On 7 February 2017, the Government announced its plan to fix the broken housing market, as published in the 104-page housing white paper. The Government admits the housing market is broken and sets to build more affordable houses and help people buy and rent. On average, 160,000 homes have been built a year since the seventies. The Government says we need between 225,000 to 275,000 homes a year to keep up with a growing population. That’s between 65,000 and 115,000 homes less a year. The housing white paper proposes new measures to tackle the problem, to ensure the housing market works for everyone. Currently, 40 per cent of local planning authorities don’t have an up-to-date plan that meets the projected growth in households in their area. Council will now need to have an up-to-date, realistic plan for housing demand and must review it at least every five years. Councils and developers are also expected to use land more efficiently, by building higher-density homes where there is a shortage of land and in areas with good public transport. When planning permission is granted, developers will need to start building homes within two years instead of three years or permission will lapse. This aims to fix the gap between the number of planning permissions granted and the number of new homes completed. With 60 per cent of news homes built by only ten companies, the Government will open the market to small and medium-sized builders through a £3 billion Home Building Fund. 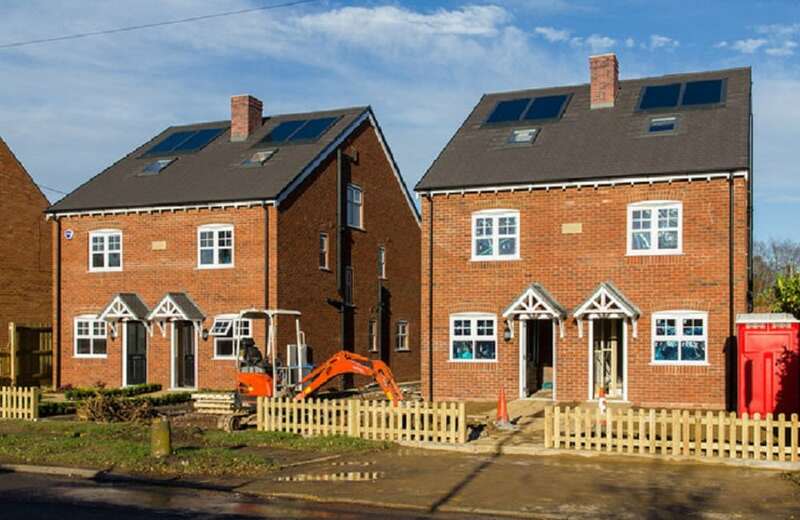 The fund will help build 25,00 new homes this parliament, and up to 225,000 homes in the long term by providing loans for SME builders, custom builders, offsite construction and vital infrastructure. In April 2017, the Government will introduce the Lifetime ISA to help first-time buyers save for their deposit. They will give a 25 per cent bonus on up to £4,000 of savings a year. The savings and bonus money can be put toward buying your first home, or withdrawn once you reach 60 years old. Starter homes, such as Shared Ownership will be targeted to first-time buyers who need them most – households with incomes of less than £80,000, or £90,000 in London. To reduce the risk of speculation, there will be a 15-year repayment period. If the property is sold within this time, some or all of the discount is repaid. The Affordable Homes Programme was originally designed for shared ownership. This will now be open for providers to build homes for affordable rent. The Rent to Buy homes will also allow households to benefit from discounted rent set flexibly at levels to make it affordable, so you can also save for a deposit to buy a home. Over four million households now rent from a private landlord. This is nearly twice as many as ten years ago. Concerns focus on affordability and security, and the Government proposes to make renting more family-friendly, by promoting longer-term tenancies on new build homes. They also intend to ban letting agents’ fees “as soon as Parliamentary time allows”, so renters have more control over what they pay. Consultations will take place to tackle all “unfair and unreasonable abuses of leasehold”, including ground rent increases. In May 2010, there were over 300,000 homes in England empty for over six months. From October 2015, this fell to 203,596 homes. Local authorities have both powers and incentives to tackle empty homes. They earn the same financial reward for bringing an empty home back into use as building a new home. They can also charge a council tax premium of 50 per cent on top of a council tax bill on properties that are empty and substantially unfurnished for more than two years. The Government also aims to help older people move homes at the right time, in the right way. This could increase their quality of life, and free up more homes for other buyers. There is confirmed commitment to the green belt. Councils may only alter green belt boundaries in exceptional circumstances. Instead, brownfield land and abandoned sites will be targeted to build new homes that people want to live in.